Pelicoin's premium cryptocurrency ATMs facilitate transactions that are secure and convenient throughout the Gulf South. Turn U.S. dollars into Bitcoin (BTC), Litecoin (LTC), or Ethereum (ETH) in minutes using any of our ATM machines. This ATM is located in the Discount Zone gas station on North Causeway Boulevard in Metairie. Cryptocurrencies such as Bitcoin, Litecoin, and Ethereum are decentralized, giving you a safe alternative to traditional banks and more control over your money. These cryptocurrencies are rapidly rising in both value and popularity. Purchase any of these prominent cryptocurrencies with ease at your nearest Pelicoin ATM. We provide the most secure cryptocurrency ATM network in the Gulf South so anyone can participate in this exciting market. Whether you want to invest in Bitcoin to make a profit or you simply prefer the accessibility of a decentralized, global currency, these cryptocurrencies can be spent at an increasing number of online stores and other establishments. 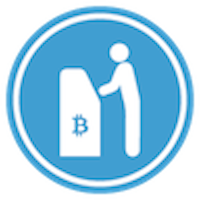 Get started today by buying Bitcoin, Litecoin, or Ethereum at our Metairie Bitcoin ATM. Our machines are installed in stores that are open late or 24 hours a day, making them as safe and convenient as any other ATM.